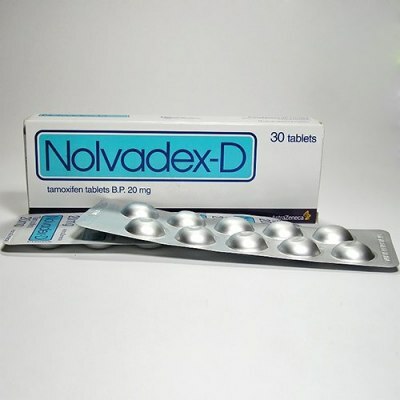 Nolvadex (tamoxifen citrate) is by far the most popular and most commonly known antiestrogen. Nolvadex can help prevent edema, gynecomastia, and female pattern fat distribution. This drug is not toxic nor have any side effects been seen in athletes who used the drug as an antiestrogen. It works so well for some bodybuilders, than they can take strong oral drugs like Dianabol or Anadrol right up to a contest as long as they stack it with Nolvadex. Most anabolic-androgenic steroids will suppress endogenous testosterone production but Nolvadex can help restore a balance in hormone levels. Nolvadex should be preferred over Clomid for this purpose in fact, as side by side it is clearly the stronger agent. It would seem wise to take this drug in conjunction with any steroid cycle. Most reported a dosage of 10mg to 30mg daily got the job done. It is simply an effective product and many bodybuilders consider Nolvadex a must for any steroid cycle to reduce side effects. I used this for the gyno and it got rid of it completely. For future gear cycle, will address gyno , estro with arimidex and nolva during cycle. Had always done this in the past, the one time I didn't, I got the gyno. Shows that you can't be lazy when doing gear. Prepare fully or don't do it.